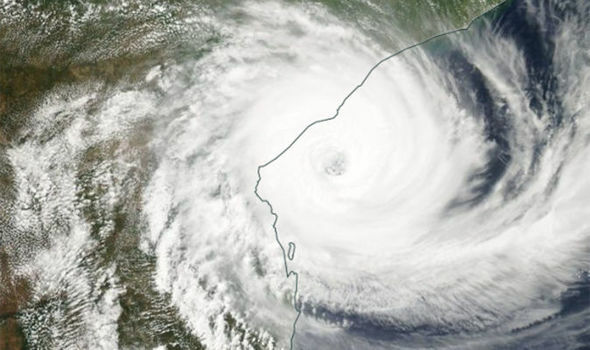 The Primate's World Relief and Development Fund (PWRDF) is calling on Anglicans to prayer and generosity in the wake of Cyclone Idai, which has caused widespread devestation in the African nations of Mozambique, Zimbabwe and Malawi. PWRDF is responding to emergency appeals for relief with an initial pledge of $30,000 for Mozambique and $20,000 for Zimbabwe. News reports indicate that Cyclone Idai has caused hundreds of deaths, destruction of property and massive displacement these two countries as well as in neighbouring Malawi. Minister Maryam Monsef announced that the Government of Canada will match donations made by April 14 to the Cyclone Idai joint appeal of the Humanitarian Coalition. PWRDF is participating in the match through Canadian Foodgrains Bank, a member of the Humanitarian Coalition.The purpose of the match is to encourage Canadians to give generously to emergency relief efforts in the hopes of staunching the growing humanitarian crisis. Working through the ACT Alliance and other regional partners, PWRDF continues to monitor the situation and will share further updates as they become available. Prayers are being invited for those have been affected by the cyclone, and the humanitarian agencies responding to this natural disaster. "Recovering from these events is a long-term process as families work to rebuild their communities and livelihoods," PWRDF said on its website. Click here for a bulletin insert that can be downloaded.